For decades, communities of undocumented immigrants in the United States have been shrouded in poverty and institutional neglect. Their migratory status—sometimes an imposed condition, as is the case with children brought to the United States by their parents—condemns immigrants to a life in the shadows and a clandestine childhood. In communities plagued with marginalized schooling, negligible opportunities, and families separated by deportation, it is no surprise that gangs can come to fill the void. Immigrants detained for gang activities are at the center of the United States’ deportation policies. Upon finishing their criminal sentences, Immigration and Customs Enforcement (ICE) deports Mexican nationals south of the border. It is in Mexico that these persons face discrimination and monumental issues with paperwork and schooling recognition. However, Mexico might also be their first chance of starting a life without crime. Trump has promised to deport 11 million undocumented immigrants, starting with the 2 to 3 million he estimates hold criminal records (even though the Migration Policy Institute actually puts this number at only 820,000). ICE has deported 105,178 undocumented immigrants from January to June 2017—which is actually lower than 2016’s rates, despite the more aggressive attempts at arrests—and Trump has twice attempted to block funding for sanctuary cities. While few might bat an eye at the deportation of these individuals, saving their activism for the innocents, all deported persons, often men and often young, were once part of a family, a community, and a city—sometimes coming from the poorest and most violence-ridden neighborhoods in the United States. It would seem that the lives of these young, Latino men with criminal records are doomed from the very start, but we met Pablo, Tommy, Israel, and Miguel outside a call center serving US corporations in Mexico City, where their wages are nothing like they would be in Los Angeles or Chicago, but are still a decent living. Their language and cultural skills, plus the fact that they’re paid Mexican and not American wages, put people like Pablo in high demand—especially given the American consumer’s backlash against foreign accents. Deportees and returnees miss their families, their friends, and the only country they’d ever lived in, but at least in Mexico they get a second chance at life—though not without great difficulty. Mexico, in turn, could benefit from this new and valuable labor force if it takes the right steps to address the logistics, security, and job-creation challenges their exodus implies. Forced to abandon their jobs, assets, and safety nets, deported persons are easy prey for Mexican criminal organizations looking to either kidnap or recruit: most deported persons speak English and have contacts in the US, Mexico’s top drug buyer by a long shot. Rumors of attacks from rival gangs waiting to pray upon “los paisas,” the Mexican nationals being deported immediately upon their release from prison—easily recognizable due to their lack of shoelaces— plague the border with El Paso and Reynosa. Israel, who has never been in a gang and was deported to Nuevo Laredo, got kidnapped within 24 hours of setting foot in Mexico, but managed to escape. A family charged him $10,000 pesos to take him to Mexico City, where he currently works at a call center and refers other deported persons for a nice commission. Paperwork doesn’t make post-deportation life easy either. Birth certificates are a prerequisite for other forms of documentation needed to get a job in Mexico, but people often have to travel all the way to their towns of birth to get them. This can be quite a trek for someone who gets dropped off with no money or family, with the often added plus of tattoos and Spanglish making them the immediate targets of discrimination. On top of this, even though the Mexican Ministry of Education is taking major steps to recognize US diplomas at the federal level, implementation is another story. Pablo had to redo elementary, middle, and high school—a possibly degrading and definitely tedious and costly experience for someone who has already put schooling behind. For many, staying at the border would have been easier money, as organized crime makes great profits from drug sales to the United States—and there’s no need for a valid high-school diploma. But after a near decade of hard time, many deported former gang members are done with the streets and just want a way out. “I’m not running away, pero entre menos tentación, mejor [the less temptation, the better],” was Pablo’s way of explaining his choice to move down to the Mexican capital. The former gang members I interviewed in Mexico City had a reason for being in one of the world’s greatest metropolises: For the first time, they had a shot at a decent life. Without risking their survival. Pablo Gomez was officially recruited to the 18th Street gang in South Central Los Angeles at age 13. Specifically, that is when he was given “privileges,” because he actually already worked for the gang before then. Tommy’s life in the Sureños gang in L.A. started early on as well. According to his testimony, Child Protective Services removed him from his family after his mother refused to put him in school out of fear that his teachers would pick up on the fact that he was undocumented. It took more than a year for the state to arrange a visit between Tommy and his mom. Tommy ultimately joined Sureños. “You get recruited for wearing the wrong color. If you wear blue, that’s it, you’re in,” he said. There are more than 80,000 groups of Sureños, and his area was infested. Plus, there were no alternative activities, such as sports, for youths. 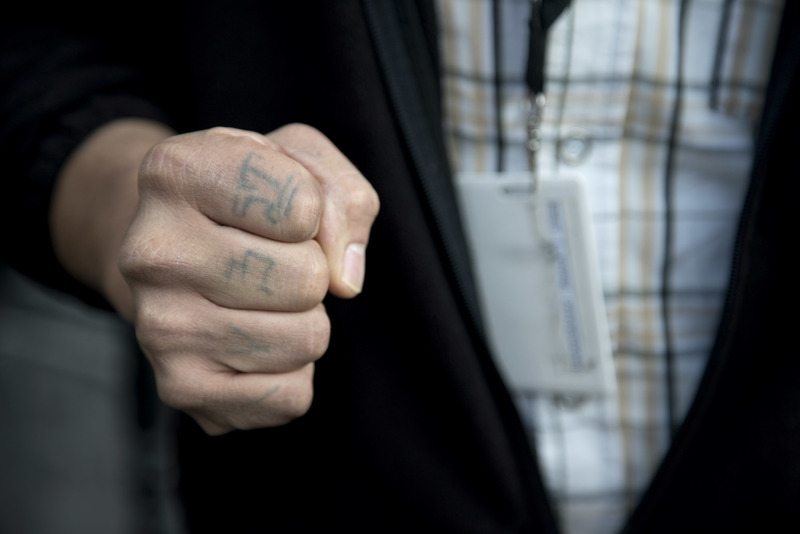 And you can’t just get out: many gangs require membership for life. At age 16, Tommy was incarcerated for seven years after he attacked someone challenging Sureños turf. Tommy was deported upon completing his sentence. The irony is that Pablo and Tommy’s families left Mexico to flee poverty and violence. But the two got sucked into the gang life at the highly mature age of 12 or 13. Once deported, they could stay at the Mexican border and rejoin a gang (the transnationalization of gangs as a consequence of deportation is a whole topic in itself), or they could travel to inland Mexico—despite the risks—and use their English and cultural skills to get decent-paying jobs in the tourism or customer-service industries. The hegemony of gangs in poverty-stricken communities as well as the lack of opportunities for immigrants in the United States should not go by unnoticed. Neither should the risks Latinos face when returning to the Spanish-speaking world. But today’s immigration policies address neither of these issues. Obama’s administration already deported an average of over 350,000 immigrants per year, and this administration’s continued criminalization of immigrants and raids in sanctuary cities are the latest and most explicit iteration of the anti-immigration sentiment budding across large chunks of the United States—sentiments veiled as arguments for protecting the country’s national security, economy, health, and even race. For Mexico, the continued arrival of thousands of individuals with criminal records undoubtedly represents a challenge—in terms of logistics, public safety, and job creation—but also an opportunity. If the country can guarantee access to paperwork, housing, social integration, and job services for a sector of the population that once contributed to the more than $20 billion dollars a year Mexico receives from US remittances, Mexico could actually tap into a new labor force—leveraging the deported individuals’ English skills, willingness to work, and at times even college degrees to the country’s advantage. The deportees, in turn, could get a second chance in life. *Some of the names in this article were changed for privacy purposes. Read about the authors' work with Mexican deportees in the blog post, "A lot more connected, a lot less hopeless," also on Campus. A prior version of this article was published in Spanish by Animal Político. 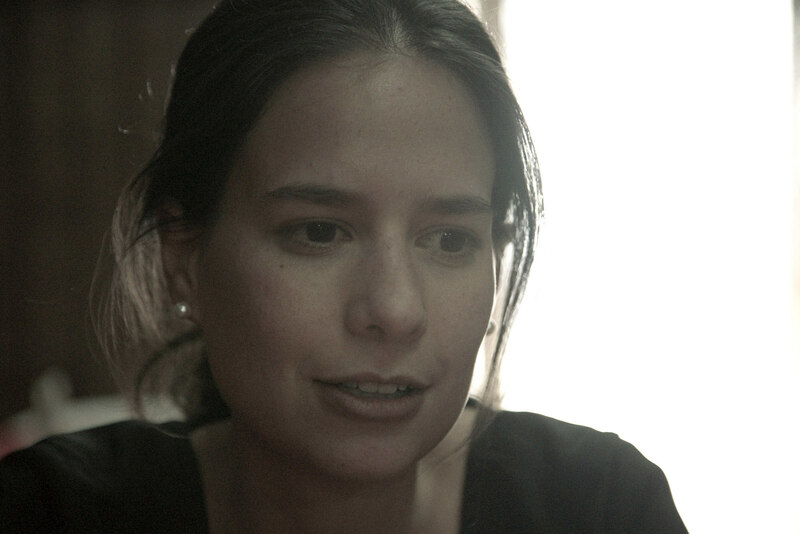 María Cristina Hall has a B.A. in political science and creative writing from Columbia University and a master’s in translation studies from Universitat Pompeu Fabra. She currently works at Institut Ramon Llull. Alina Bitran has a B.A. in public policy from the University of Chicago and is a consultant at the public-policy think tank Fundación Idea.